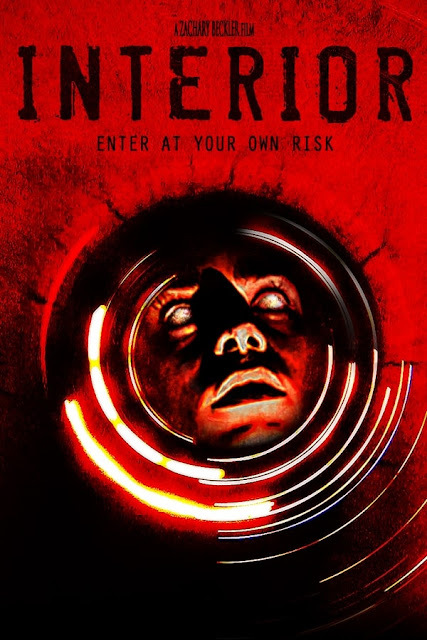 Check out the trailer and clip from Interior. Genre distributor Terror Films will be releasing the festival standout INTERIOR this Tuesday, August 15th. It was written and directed by Zachary Beckler. The film has won “Best Director” and “Best Sound Design” at the NYC Horror Film Festival (2015), “Best Horror Feature” at Shriekfest (2015), “Best Domestic Film” at the Starlite Film Festival (US, 2015), “Best Thriller Feature” at the Atlanta Horror Film Festival (2014), “Best Florida Feature” at the Freak Show Horror Film Festival (2014), along with the “Audience Award” at the Knoxville Horror Film Fest (2015). The story follows Sam (Christopher Carullo). Sam is a down and out filmmaker, who is hired by his ex-girlfriend, Allison (Piper Rae Patterson), to record unexplained phenomenon. The strange occurrences have been happening in the new house where she, her husband and young daughter have recently moved to. Over the course of the night, Sam comes face to face with an ultimate form of evil. In their ongoing effort to bring the best and the most diverse indie horror content to the masses, Terror Films will release this film across multiple digital platforms including: iTunes, Amazon Instant/Prime, Vudu, Google Play/You Tube, X-Box Live and many others. The release begins with North America and will be followed by a worldwide digital release on iFlix.